Hildegard was a remarkable woman that lived in the 12th century. She was of German descent and became a nun at the age of 15. She was a poet, a physician, as well as a moralist. She was constantly rebuking princes, bishops and popes in a fearless manner when she did not approve of their actions. She was able to foretell the future and she wrote her visions down. An archbishop later declared that her visions had come from God. In total, she had 26 visions. She wrote more than 300 letters to kings and popes with prophecies and warnings. Later, Pope Eugenius III read her writings and told her to write whatever the Holy Spirit told her to do. With the blessing of her pope, she built a large monastery and had such things as running water for her and the other nuns. While St. Hildegard was revered as a saint for centuries and listed as a saint in the Roman Martyrology, she was not officially canonized until 2012, 833 years after her death. She is the patron saint of ecology as well as musicians and writers. A “Renaissance woman,” or “polymath,” St. Hildegard von Bingen is remembered for her many and diverse interests, talents, and abilities. Her writing covered many topics, including the subjects of medicine, botany, theology, and liturgy. She also composed songs, wrote plays, and experienced visions. 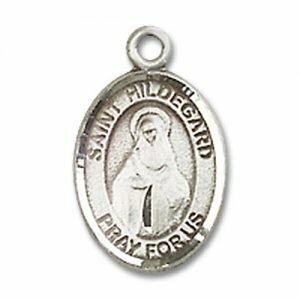 A strong-willed and faith-filled woman, St. Hildegard served as an abbess and founded monasteries in Germany. 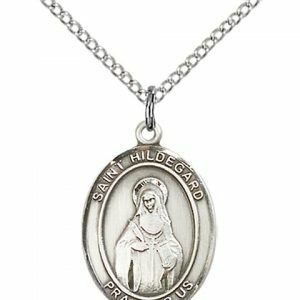 Clearly blessed with many gifts, St. Hildegard used these capabilities to bring honor and glory to God throughout her life. 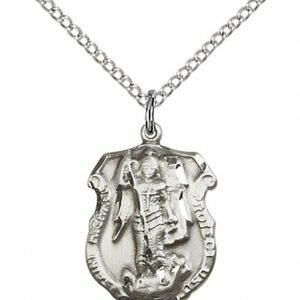 Though her exact date of birth is unknown, it is believed she was born around the year 1098 to parents Mechtild of Marxheim-Nahet and Hildebert of Bermersheim. Her family belonged to the lower nobility class of Count Meginhard of Sponheim. The youngest of ten children, St. Hildegard began experiencing visions from a young age. 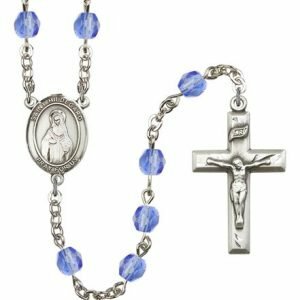 When she was eight years old, she was offered by her family as an oblate to the church. At fourteen, she was enclosed with a nun, Jutta von Sponheim. Jutta was an anchoress and the abbess of a Benedictine monastery in Disibodenberg, in what is now Germany. She lived in a hut next to the monastery, which was a one-room structure with only one window, where her food was served. She refused to leave this hut, and taught several young women from this location. 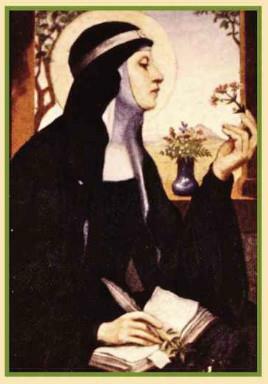 Jutta taught St. Hildegard to read and write, prayed the psalms with her, and shared her botanical knowledge with her as they gardened together. 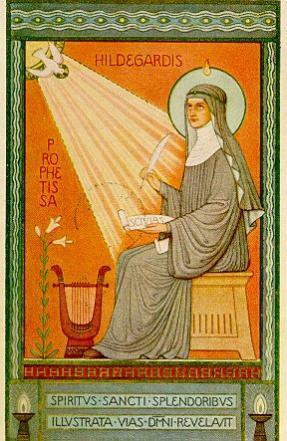 St. Hildegard learned to play the psaltery (harp), which led her to learn more about music, eventually composing her own songs. 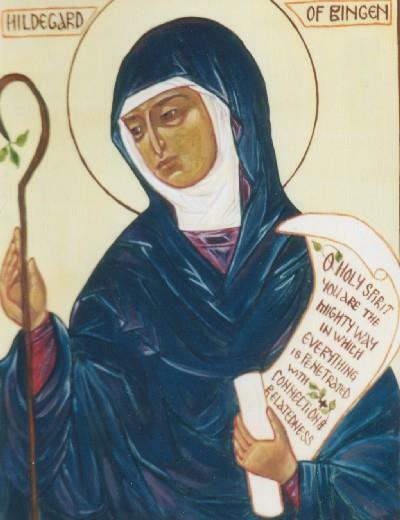 When Jutta died in 1136, St. Hildegard was chosen by the Benedictine community to be the new abbess. 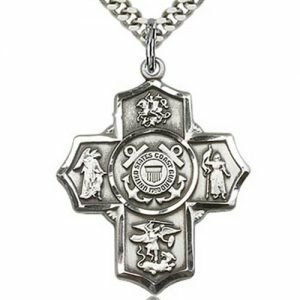 Abbot Kuno of Disibodenberg wanted her to be prioress, which would place her under his authority. St. Hildegard desired more freedom for herself and the nuns, and so requested that they be relocated to Rupertsberg. This location would be a movement to poverty, living in a stone complex that had only been used previously as a temporary dwelling place. When Abbot Kuno disapproved of her request, St. Hildegard did not give up. Instead, she went higher up, to Archbishop Henry I of Mainz. The archbishop approved; however, Abbot Kuno still would not allow it. At that time, St. Hildegard was stricken with an paralyzing illness that prevented her from leaving her bed. She told the Abbot that if he would allow her to relocate, God would heal her. When the Abbot still would not relent, he too was stricken with this paralyzing illness. At this point, he gave his permission for St. Hildegard to relocate the monastery, and each of them sooner recovered. A monk named Volmar was chosen as provost, to be St. Hildegard’s confessor and scribe. St. Hildegard first had visions at age three, but it was not until she was five that she understood that they were sent from God. Though she was unable to describe exactly what she saw, she said that she was able to experience the light of God through all five of her senses. She only shared what she saw with Jutta, who shared this information with Volmar when St. Hildegard was still young. At age 42, St. Hildegard was instructed in a vision to write what she saw and heard. Afraid to record her visions, St. Hildegard became ill. She took this as a sign that she must listen to God’s request and began to write. During the synod of 1147-1148, Pope Eugenus heard about St. Hildegard’s writings. He reviewed them and gave them his approval, stating that they were indeed inspired by the Holy Spirit. The works of St. Hildegard are compiled in three volumes: first, musical compositions used for liturgy, as well as a musical morality play entitled “Ordo Virtutum”; second, nearly 400 letters written to popes, emperors, abbots and abbesses – one of the largest collections to have survived the Middle Ages, including sermons she preached through the 1160’s and 1170’s; and third, material relating to natural medicines and cures, information she gathered through her experience gardening and tending to the sick. St. Hildegard’s visionary theology covered many religious topics. Most notable is her book “Scivias” (or “Know the Ways”), which told of creation and the Fall, Christ’s crucifixion and the beginning of the Church, and the “Symphony of Heaven,” which is one of her earliest musical compositions. Toward the end of her life, St. Hildegard commissioned a manuscript of “Scivias” to be decorated in great detail. This work survived the ages and was being stored in Dresden for safekeeping. During the evacuation of Dresden during WWII, the book was lost. The only remaining version is a hand-painted copy from the 1920’s. The music written by St. Hildegard was mainly for use in liturgy and chanting. However, one of St. Hildegard’s greatest works is a morality play entitled “Ordo Virtutum,” which has parts for the human soul, sixteen virtues, and even the voice of the devil. In her other works, St. Hildegard often wrote of the Virgin Mary and the saints, in whom she found great inspiration. St. Hildegard’s understanding of the natural world came from the story of creation, in which God tells man to rule over and subdue that which He had made. She believed in the healing properties of many items found in nature, because God had made them for the purpose of providing health to mankind. She read many books and did experiments with the herbs and various plants she grew, learning as much as she could and recording her observations. Many of her writings show an understanding of disease, illness, and health uncommon for the time in which she lived. She wrote of home remedies to treat common ailments, how to treat agricultural injuries such as cuts, burns, fractures, and dislocations, and stressed the importance of preventing infections by boiling water before use. In addition to these works, St. Hildegard highly regarded as a rhetorician and preacher. During the Middle Ages, bans were in place preventing women from social participation and interpretation of scripture. However, due to her popularity among church officials (including popes, abbots, and abbesses), St. Hildegard was sought out to speak publicly. She went on four preaching tours, in which she spoke to clergy and laity, in private and in public. 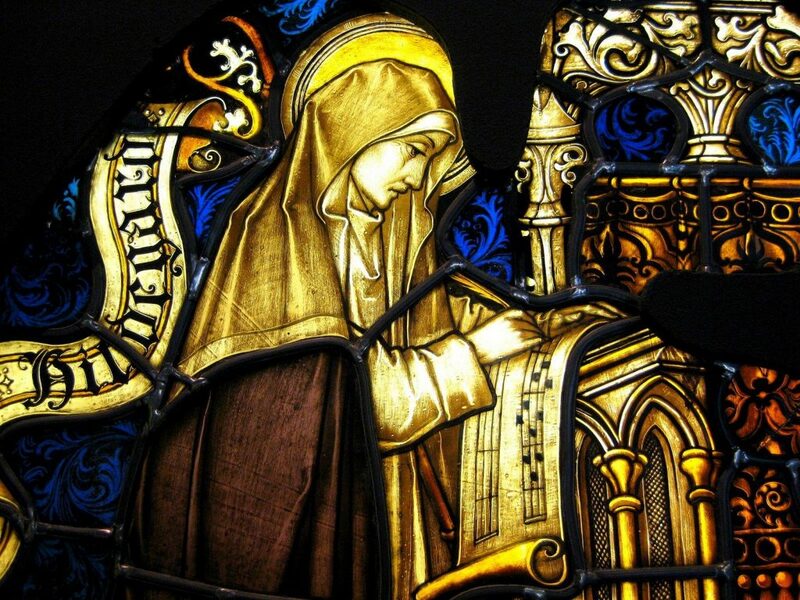 On September 17, 1179, St. Hildegard von Bingen died. The nuns in her monastery reported seeing two streams of light in the skies, crossing over the room where she laid. After her death, St. Hildegard was one of the first persons to be submitted for the Roman canonization process, which was undergoing procedural changes. Four attempts were made at the canonization of St. Hildegard; however, the process took so long that they were never completed. Due to this, St. Hildegard was regarded at the level of beatification officially, though many considered her a saint. 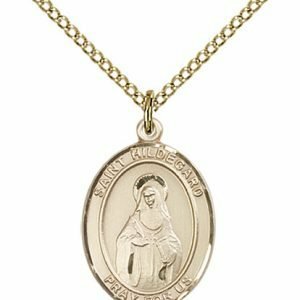 She was added to the Roman Martyrology (the list of saints recognized by the Catholic Church) at the end of the 16th century. Most recently she was referred to as a saint by Saint Pope John Paul II and Pope Benedict XVI. 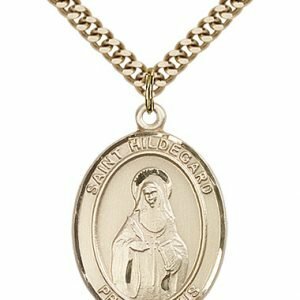 Subsequently, on May 10, 2012, Pope Benedict XVI declared an “equivalent canonization” for St. Hildegard, allowing for her to be officially recognized as a saint. She was declared a “Doctor of the Church” for her writings on October 7, 2012 by Pope Benedict XVI. 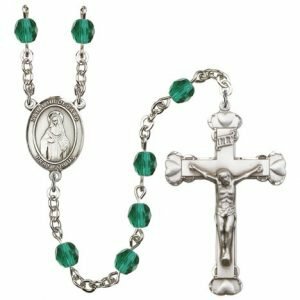 He stated that she was an “authentic teacher of theology and a profound scholar of natural science and music.” Her feast day is September 17. The relics of St. Hildegard are housed in Eibingen, Germany, in the pilgrimage church dedicated to her. 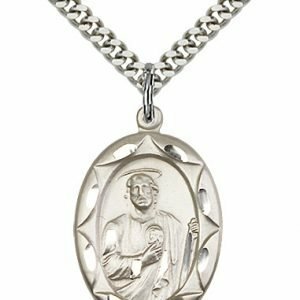 Due to the recent official canonization of St. Hildegard von Bingen, patronages are still being assigned to her, making it a challenge to find a universal list. However, many consider her to be the patron saint of that which she was interested in during her life, namely, the environment, writing, medicine, theology, music, and religious life. Depictions of St. Hildegard von Bingen in art usually show her in the black and white Benedictine habit. Pictured with her are images that tell of her accomplishments and interests, such as a book, a harp, a quill, a monastery, and scrolls. Many times a heavenly light is shining down on her, symbolizing the visions she had of the light of God. And through your name, deign to help us. in the first dawn before all of Creation. and lead us in joyous prosperity. from our miseries and languishing. to cling to you without fail. O Lord, you were generous with your gifts of grace to the virgin Hildegard. By following closely her example and teaching, may we pass from the darkness of this life into your marvelous light. Through Jesus Christ our Lord, Amen.